Fill Gaps in Sketch add-in fills gaps between end points of lines and curves in a sketch. 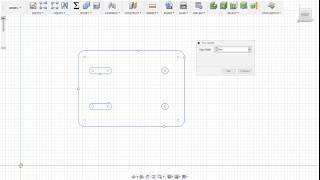 This add-in allows you to scan the sketch geometry and create closed profiles without gaps. It is particularly useful in an imported sketch geometry.